Working towards a future where every cancer patient becomes a survivor. 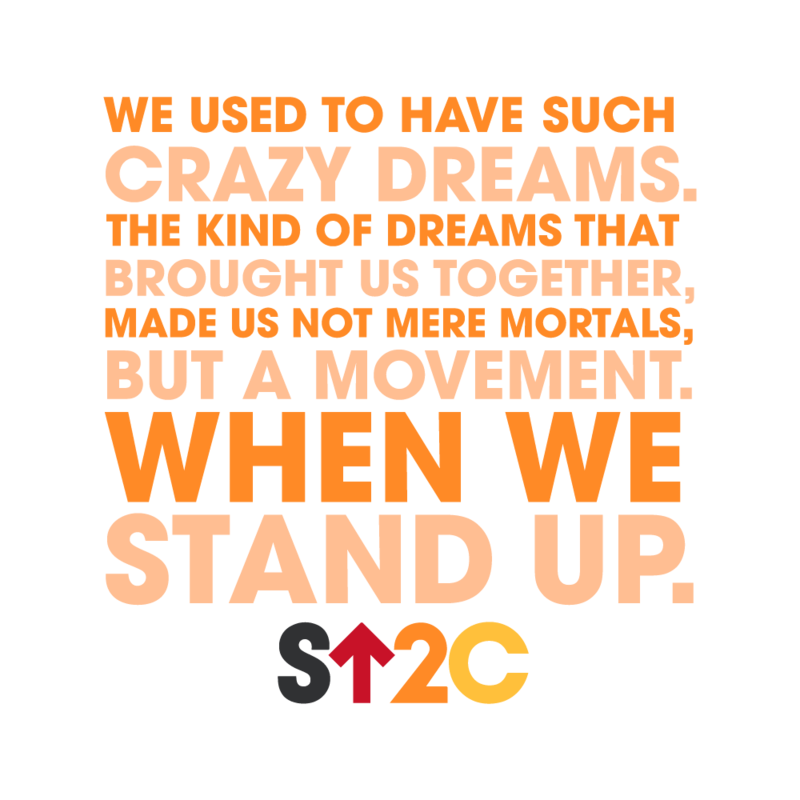 Stand Up To Cancer (SU2C) is a charitable program of the Entertainment Industry Foundation (EIF), an organization founded 75 years ago by Hollywood heavyweights with the notion that the entertainment industry is in a unique position to drive awareness to issues and help people. SU2C is one of EIF’s most successful programs, with nearly half a billion dollars pledged to cancer research in the past decade. SU2C dramatically accelerates the rate of new discoveries by connecting top scientists in unprecedented collaborations to create breakthroughs. The innovations it facilitates lead to better cancer prevention, diagnosis, and treatment. SU2C approached Brand Knew for help in expanding its digital reach and driving engagement prior to the biennial telecast. 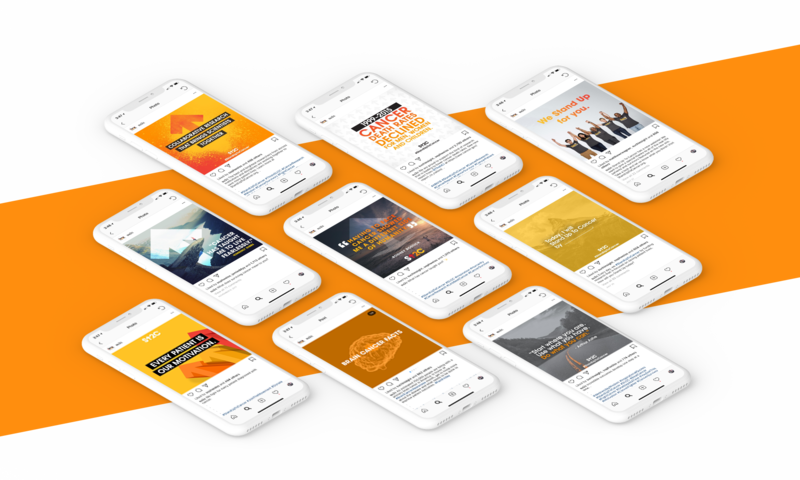 More than two years later, Brand Knew has become the comprehensive creative partner for a wide range of branding and marketing efforts, including the creation and implementation of an extensive brand guide and a fully revitalized social strategy. The 2018 SU2C Live Televised Event was a record-breaking success, with over $123.6 million in pledges. 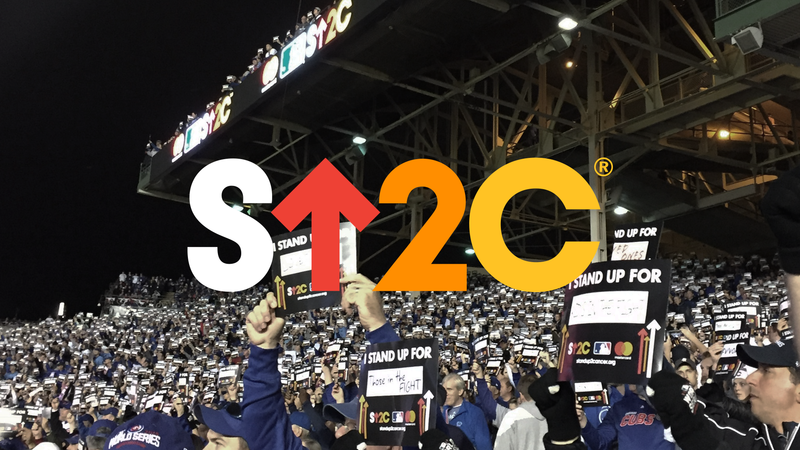 The Brand Knew team provided on-the-ground support for this monumental fundraising event, which included real-time creation of social graphics, live tweeting and engagement with SU2C’s fan base. When Brand Knew was brought on board, SU2C had no aesthetic or creative thru-line that well defined the brand. Taking into account the progress made by SU2C over the past 10 years, Brand Knew developed and implemented a social strategy to streamline all SU2C creative assets across platforms. Brand Knew now manages and produces all SU2C social assets shared across Instagram, Facebook, and Twitter. 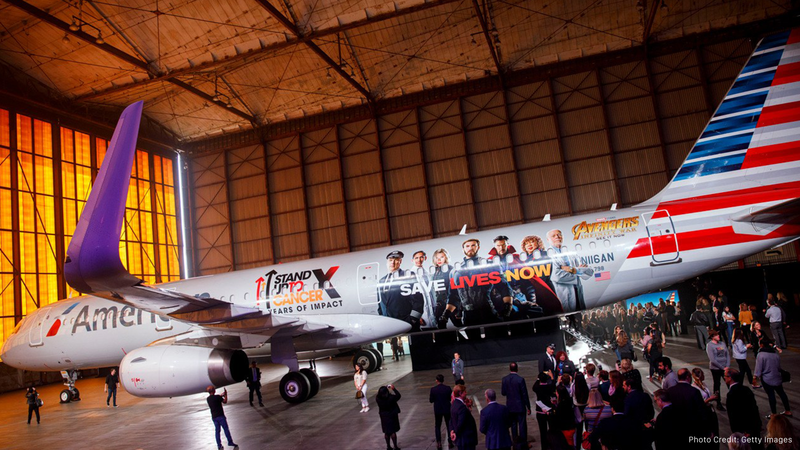 Brand Knew also spearheads design deliverables for donor activations and events, such as assets for the MLB All-Star game and World Series, developing a pin-pad campaign for CVS, and the ideation of a co-branded SU2C and Marvel Avengers-themed airplane in connection to their partnership with American Airlines. 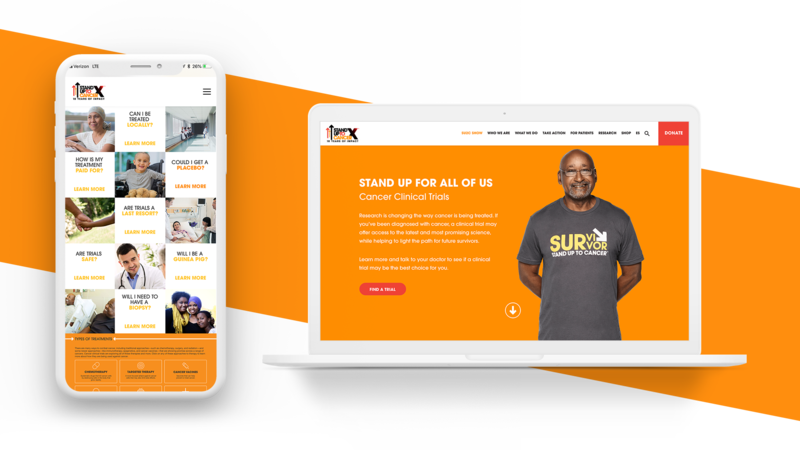 Social Press Kit also played a vital role in all donor campaigns, allowing SU2C to efficiently distribute ready-to-share branded content to its vast network of partners and advocates. Many of the remarkable milestones achieved by Stand Up To Cancer in the past decade can be accredited to cancer clinical trials. With more than $480 million pledged to cancer research and 180+ SU2C-funded clinical trials, the campaign turned to Brand Knew to create an accessible and functional national database that serves as a hub for these lifesaving trials, and continue to grow this crucial part of its mission. With the success of the clinical trials website, SU2C realized they needed a full overhaul that spotlighted its decade of innovation and scientific achievement. Brand Knew lead strategy on how to best organize and re-architect the massive amounts of information and resources SU2C would streamline to encourage visitors to explore, learn more, and donate. 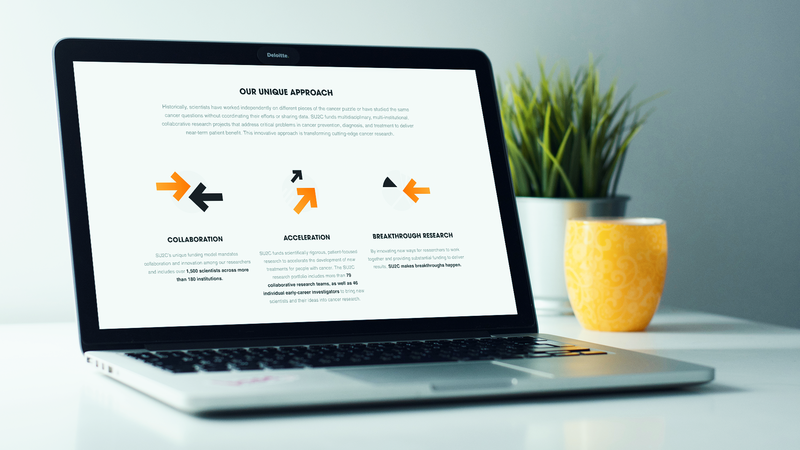 Once the framework was in place, Brand Knew executed the entire website rebuild, which included copywriting, responsive design, a full Spanish translated website, and the development of 30+ Dream Team pages, highlighting the work of SU2C revered research teams. As SU2C passes its 10-year milestone, Brand Knew continues to provide creative guidance and evolve the brand in a way that reaches new demographics, drives donations, fosters new brand partnerships and keeps SU2C at the forefront of cancer-fighting research.